Nuevo Folding Doors by LTL Home Products, Inc. 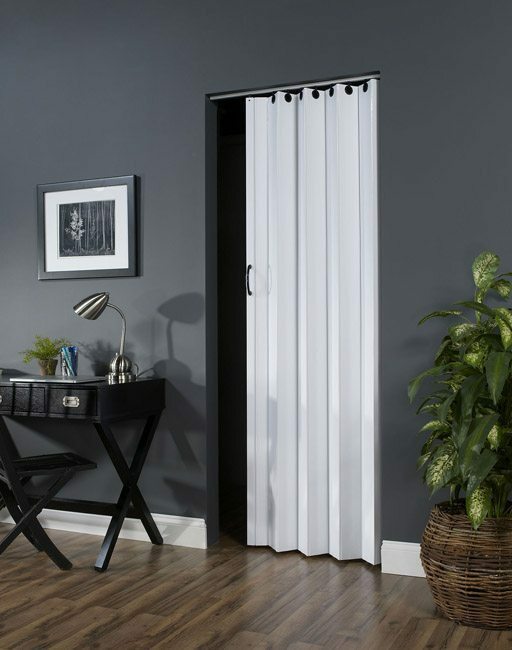 The Nuevo Folding Door offers a flair of design to your room. Each door color includes a choice of two hardware options. For the White door, choose from White or Black hardware. For the Linen door, choose from Linen or Brown hardware. This vinyl door is a solid single wall panel door with flexible vinyl hinges. 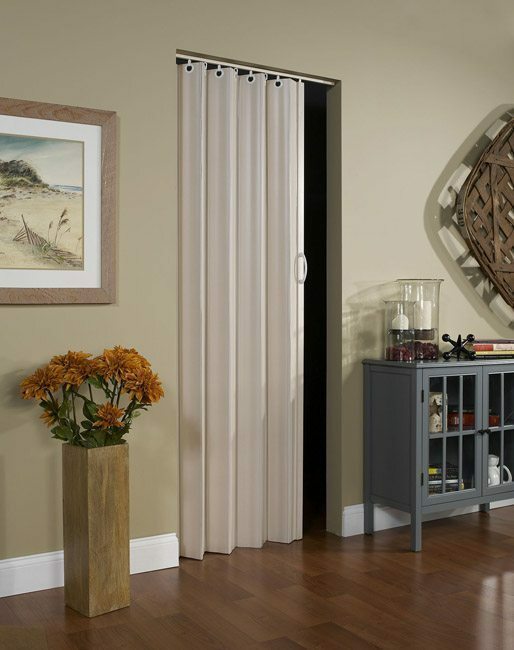 This maintenance-free door fits openings from 24″ to 36″ wide by 80″ high. It may be installed as a double door, by using two single doors. Can be used with our Folding door lock. Please refer to the Via installation videos for help installing.